Take blanched palak......1 inch ginger.....1 clove garlic ......blend to smooth paste without adding any water. keep aside. now in a pan heat 3 tsp oil......and roast the spices till it turns aromatic. add prepared palak paste......1/4cup water and salt....mix well adjusting consistency as required.......add paneer and mix well......simmer for 5 minutes or till paneer absorbs flavour.......turn off the flame and lill garam masala over it n add cream. mix well. 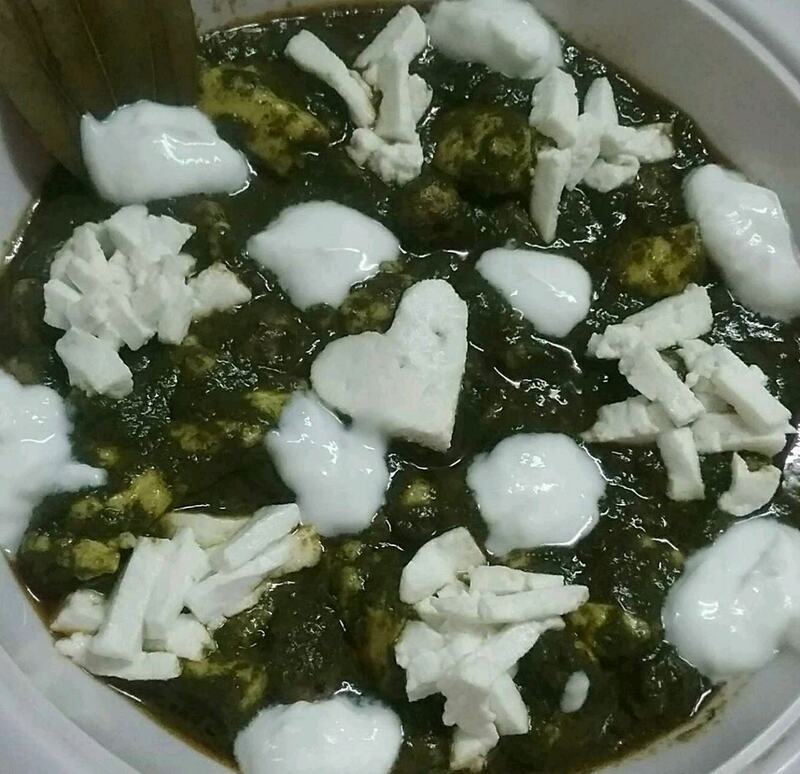 easy way of making healthy palak paneer....in less time.